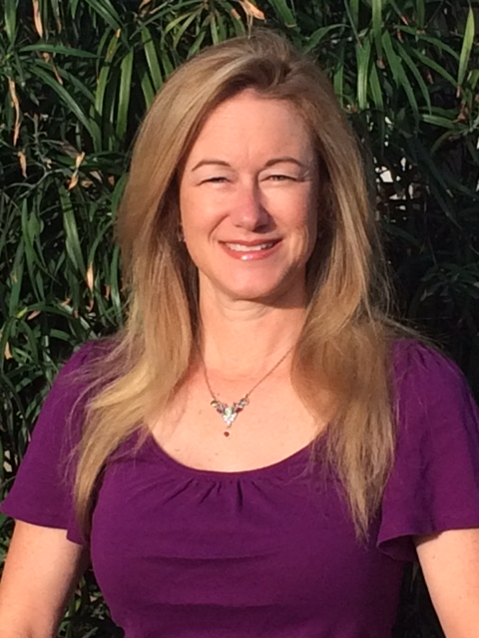 Following a national search, Wendy Powers has been named ANR's new associate vice president. 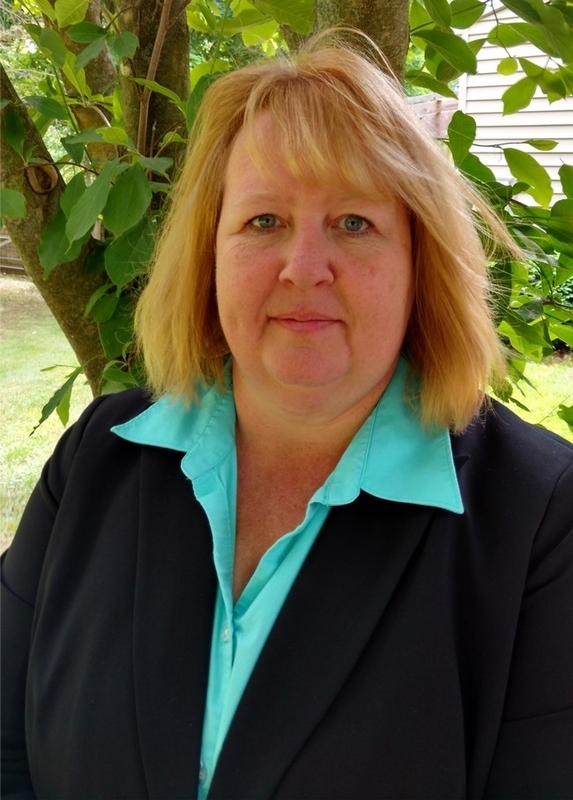 Powers, who has been a Michigan State University professor in the departments of Animal Science and Bio systems and Agricultural Engineering since 2006, assumed her position with ANR in Oakland on June 20. Powers brings excellent executive skills from a different land grant college so she will be a great addition to ANR's leadership team. She knows Cooperative Extension and has experience in helping programs grow, which will be very valuable as we expand the CE footprint in California. An accomplished researcher and administrator, Powers has the leadership qualities to help us take ANR to new heights. From 2010 to 2014, she directed statewide agriculture extension programs in Michigan. As MSU's first director of environmental stewardship for animal agriculture, Powers represents MSU on a number of state technical committees and has done an impressive job of leading efforts to minimize the environmental impact of animal agriculture. Her extension efforts focus on policy and implementation of management practices to reduce environmental impact. In addition to her research and extension program, she oversaw construction of the Animal Air Quality Research Facility and currently manages the facility and coordinates its activities. Prior to joining Michigan State University, Powers was an assistant and associate professor with an extension appointment at Iowa State University for 10 years. “There is no better place to be involved in extension and agriculture than California, and no place better positioned to impactfully address the challenges of tomorrow than University of California Ag and Natural Resources,” Powers said. She has a Ph.D. in animal science and M.S. in dairy science from the University of Florida and a B.S. in animal science from Cornell University. Powers was chosen to succeed Bill Frost, who retired June 30. Two accomplished UC Agriculture and Natural Resources scientists have the honor of being the first endowed chairs in UC Cooperative Extension. 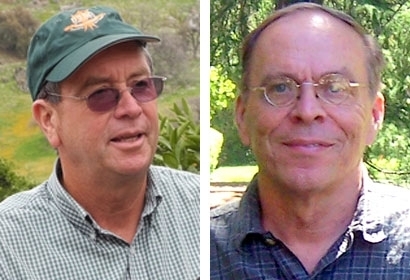 The UCCE citrus and pistachio crops advisor in Kern County, Craig Kallsen, is the UC Cooperative Extension Presidential Chair for Tree Nut Genetics, and UCCE integrated orchard management specialist Bruce Lampinen, based at UC Davis, is the UC Cooperative Extension Presidential Chair for Tree Nut Soil Science and Plant Water Relations. The endowed chairs will give the two scientists a dedicated source of funding for five years, when the chairs are reopened for review. UC ANR established the two $1 million endowments for the endowed chairs last year. Half the funding was provided by UC President Janet Napolitano; the other half was donated by the California Pistachio Research Board. Establishment of the endowed chairs was announced last year by UC ANR vice president Glenda Humiston. Kallsen said the endowment comes at a particularly opportune time for the UC pistachio breeding research program. In cooperation with UC Davis pomology researcher Dan Parfitt, Kallsen has been breeding pistachios as part of a variety selection program using conventional methods - manually crossing and then growing trees to determine whether they have beneficial characteristics. Kallsen is looking for pistachio varieties that show novel nut, tree growth and yield characteristics, and for varieties that produce a high yield even under low-chill conditions. Kallsen plans to establish a trial pistachio orchard at the UC Riverside Coachella Valley Agricultural Research Station, where winter weather rarely dips to sufficient chill levels, to see which varieties produce acceptable crops under the warmer conditions. Another key objective of the UC breeding program is identifying pistachio cultivars that mature at different times. At the moment, 90 percent of California pistachios are the Kerman variety. They all mature at the same time, putting pressure on harvesting, transportation, processing and storage resources. Lampinen has devoted most of his career to almond and walnut research, but has worked on pistachios in collaboration with other UCCE specialists and advisors since 2009, focusing mainly on canopy light interception and salinity and their impacts on pistachio yield and water use. Lampinen said his current work on almond and walnut water use as related to canopy size will be expanded to pistachio with the funding from the endowment. Lampinen's work in almonds and walnuts will also inform new pistachio research approaches. For example, Lampinen developed a no-pruning system for establishing new walnut orchards, and will study whether a similar approach in pistachio would make sense. For decades, California farmers believed that pruning young walnut trees was critical to healthy tree development. Lampinen observed unpruned walnut orchards in France, and “they looked perfectly fine,” he said. Lampinen's research showed that pruning in the early years of tree development reduced water use efficiency and decreased walnut yields. By not pruning young trees, farmers could cut back significantly on labor costs and eliminate the need to dispose of the vegetation cut off the tree while using water more efficiently. The no-pruning approach is now widely accepted in almonds and walnuts. With funding from the five-year endowment, he plans to compare the impacts of the alternative pruning systems on newly established pistachio orchards. In addition, Lampinen said he plans to consult with pistachio industry leaders, growers and farm advisors to develop an effective research program on pistachio soil and water relations. 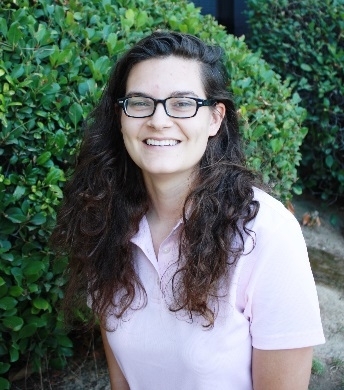 Maggie Reiter joined ANR on May 9 as an area environmental horticulture advisor in Fresno, Madera, Tulare and Kings counties. Prior to joining UCCE, Reiter was a graduate research assistant at the University of Minnesota from 2013 to 2016. She participated in research projects aimed at increasing winter hardiness in cool-season grasses, identifying salt-tolerant roadside grasses, improving turfgrass seed production, evaluating varieties in the National Turfgrass Evaluation Program trials, and communicating information through the extension program. Reiter also worked on the agronomy staff of several golf courses from 2008 to 2015. Reiter earned a B.S. in horticulture and an M.S. in applied plant science, both from the University of Minnesota. Reiter is based in Fresno and can be reached at (559) 241-7504 and mkreiter@ucanr.edu. In the 60 years that the University of California has operated its beautiful 5,358-acre Research and Extension Center in Hopland only a handful of people have helped to manage the site as superintendent. 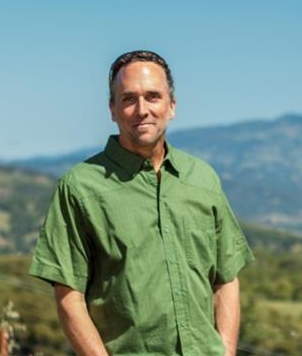 Dave Koball, former vineyard manager at Fetzer Bonterra, is following in the footsteps of Bob Keiffer in this role. Before joining ANR, Koball had worked for Fetzer since 2000, most recently as director of research and education. From 1994 to 2000, he was vineyard manager for Kohn Vineyards. Koball earned his M.S. in plant pathology at Cornell University and B.S. in plant pathology at UC Davis. He returned to UC Davis as a postgraduate researcher in John Mircetich's lab, studying strawberry root rot in 1993 and 1994. 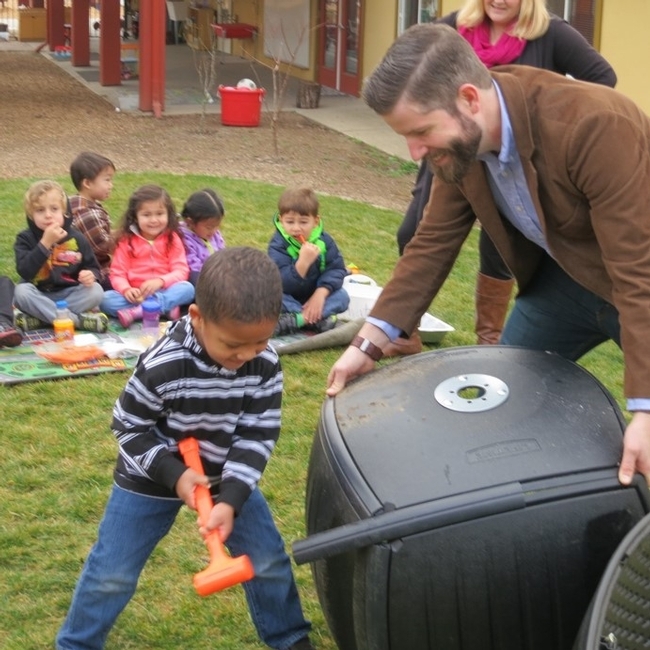 “I am really looking forward to entering the California Naturalist program that is run from the center, as well as participating in many of the public events held there, from sheep shearing to the monthly hikes,” Koball said. Koball can be reached at dkoball@ucanr.edu and (707) 744-1424 Ext. 112. Andy Lyons joined ANR on March 14 as coordinator for the Informatics and GIS statewide program (IGIS). From 2006 to 2009, Lyons was a monitoring and evaluation specialist for the UN Food and Agriculture Organization office in Johannesburg, where he spearheaded the development of a monitoring and evaluation framework for a regional food security program and developed monitoring protocols for projects promoting low-input farming, input trade fairs, gardens, small-scale irrigation, animal health and nutrition education. In the early 2000s, he worked as a conservation planner for the Wildlife Conservation Society in Zambia, and as a program evaluator for CARE International. Lyons served as a U.S. Peace Corps volunteer from 1991 to 1994 in The Gambia, West Africa, where he taught high school math and physics, and developed databases for the Ministry of Education. 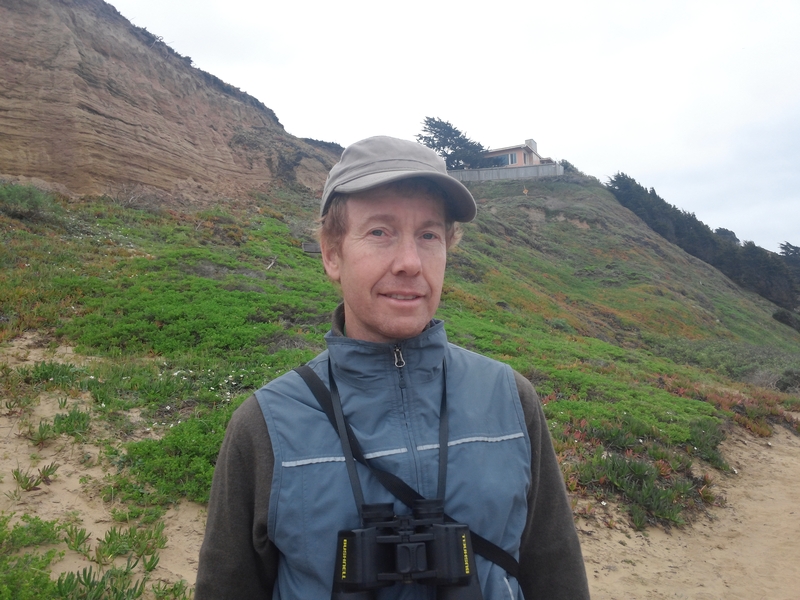 Lyons has a Ph.D. in environmental science policy and management from UC Berkeley. He also has a M.S. in wildlife ecology and conservation from the University of Florida, and a B.A. in mathematics from Duke. Lyons is based at 130 Mulford Hall #3114 at UC Berkeley and can be reached at andlyons@ucanr.edu. Akif Eskalen, left, and John Kabashima on right. Akif Eskalen, UC Cooperative Extension specialist in the Department of Plant Pathology at UC Riverside, and John Kabashima, UCCE advisor emeritus, received the Award of Arboricultural Research from the Western Chapter International Society of Arboriculture. 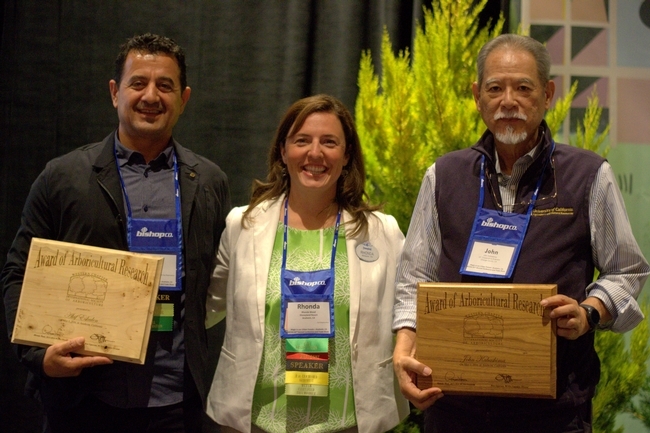 The award recognizes their research on the polyphagous shot hole borer, a beetle that is causing severe fusarium dieback damage to avocado and landscape trees in Southern California. The beetle has a symbiotic relationship with fungi. When the beetle burrows deep inside the tree, it transmits the fungi, which cripples the tree's water-transporting mechanism and blocks the transport of water and nutrients from the roots to the rest of the tree. They received the award at the 2016 Western Chapter ISA Conference in Anaheim on May 3, 2016. From left, Rangeland Trust emeritus director Devere Dressler, Ken Tate and Rangeland Trust CEO Nita Vail. 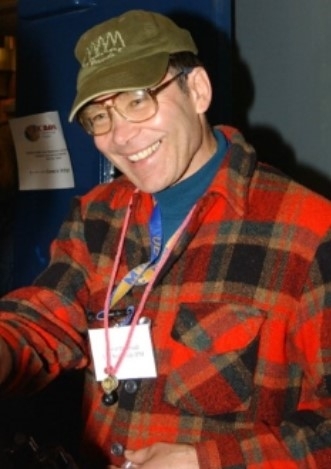 Photo by Richard Levine. 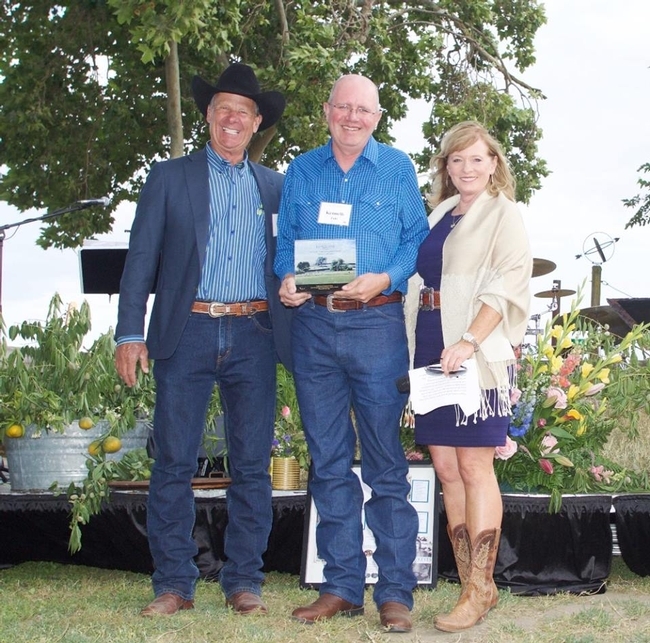 California Rangeland Trust presented its 2016 Conservation Impact Award to Ken Tate, UCCE specialist and professor in the Department of Plant Sciences at UC Davis. With 102 peer-reviewed publications, Tate leads cutting-edge research in the fields of rangeland ecology and agro-ecosystems, providing tools for effective rangeland management decisions. 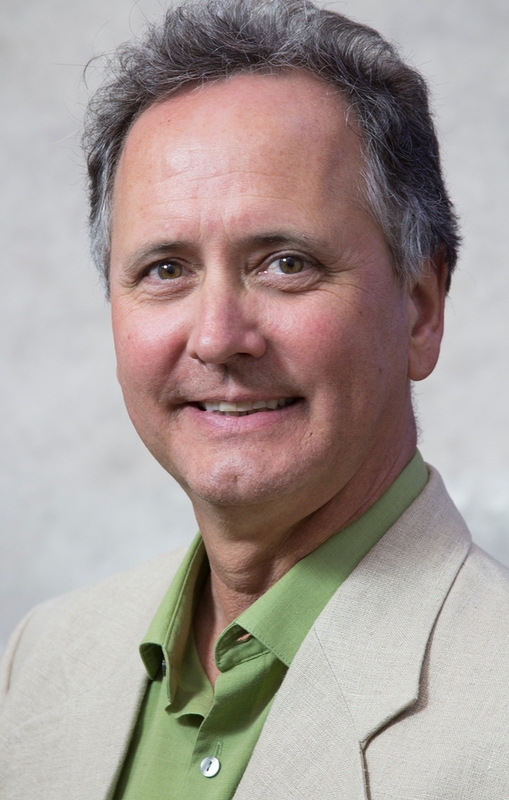 Tate's career at UC Davis spans 21 years where he held positions such as vice chair for outreach and extension in the Department of Plant Sciences. “As the go-to guy for all things range science, Tate's research, outreach and education has had a significant impact on rangelands throughout California, the United States and the world,” California Rangeland Trust wrote in its news release. Tate, the Russell L. Rustici Endowed Chair of Rangeland Watershed Science, received the award at a special farm-to-fork gala on May 21. Doug Parker has been named president of the Universities Council on Water Resources (UCOWR), the association of universities and organizations leading in education, research, and public service in water resources. Parker, who is director of the UC ANR's California Institute for Water Resources, will serve as president for one year, then a year as past-president. 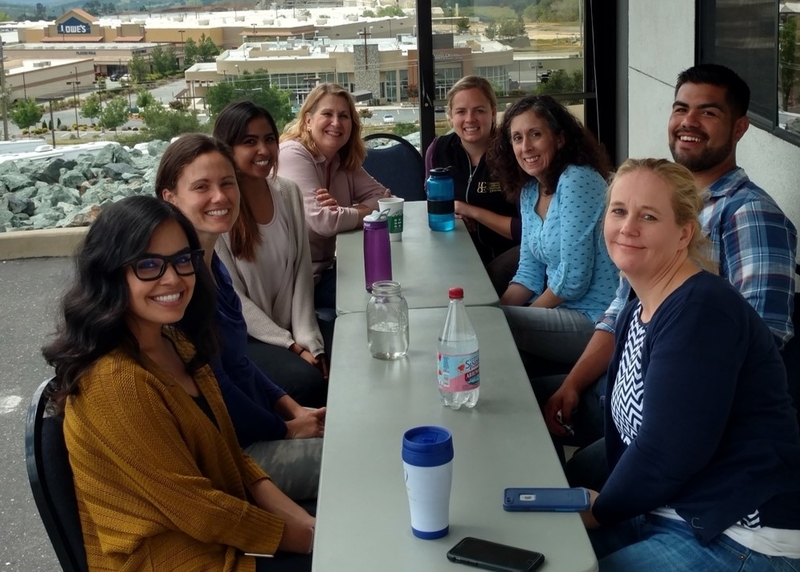 UCOWR members and delegates are at the forefront of water resources-related research and education, and represent various fields of natural and social science. Each member university appoints up to eight faculty or staff as UCOWR delegates. Others may join as individual members. To achieve these goals, member institutions engage in education, research, public service, international activities and information support for policy development related to water resources. UCOWR holds an annual conference that provides a forum to explore key and timely topics of interest to water resources researchers and educators. UCOWR also publishes the Journal of Contemporary Water Research and Education, presenting both scholarly work and current water resources news. Five communicators associated with ANR received awards from the Association for Communication Excellence in Agriculture, Natural Resources, and Life and Human Sciences on June 15 at its annual conference in Memphis, Tenn. 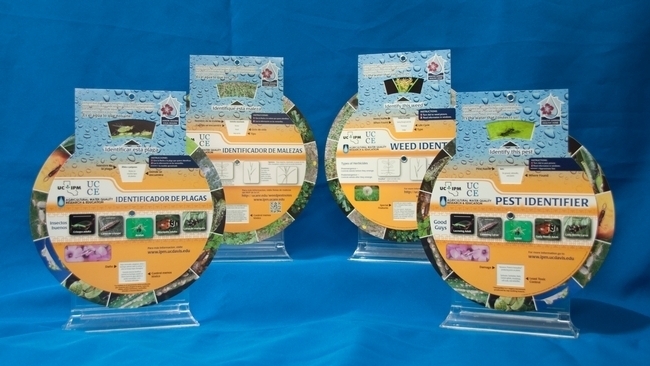 The UC Statewide Integrated Pest Management Program's "Pest Wheel Set" earned a bronze award for Cheryl Wilen, area IPM advisor and IPM advisor extension coordinator, and Scott Parker, UCCE community educator in San Diego. The set includes two interactive wheels, in English on one side and Spanish on the other. Steve Elliott, communications coordinator for Western Integrated Pest Management Center, won a silver award in the newsletter category for “The Western Front,” the Western IPM Center's monthly electronic newsletter. Diane Nelson, a senior writer with the College of Agricultural and Environmental Sciences, won a gold award in promotional writing from ACE for her news release on groundwater banking, “Farmland May Provide Key to Replenishing Groundwater.” The article discusses the research of CA&ES faculty members Helen Dahlke, Ken Shackel and Astrid Volder and UCCE specialist Toby O'Geen. 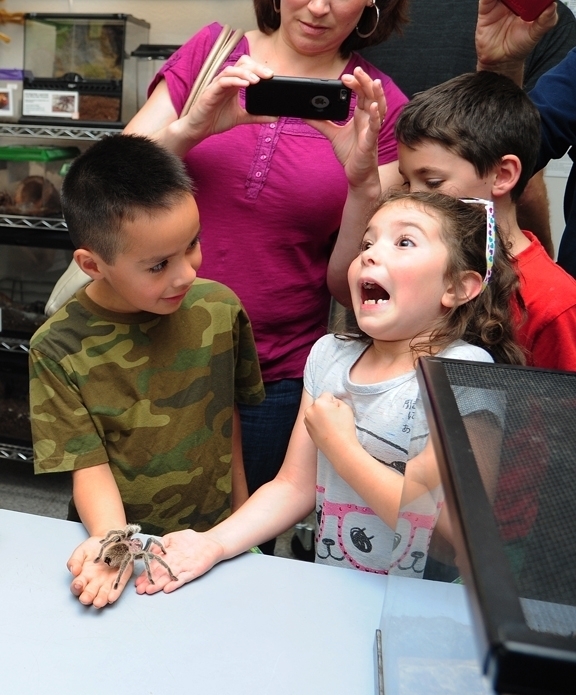 Kathy Keatley Garvey, communications specialist with the UC Davis Department of Entomology and Nematology, won a gold award for her photograph of two youths getting acquainted with a rose-haired tarantula. Garvey also won silver awards for her feature story on entomologist Jeff Smith of the Bohart Museum of Entomology and for her photo series “Miracle of Life.” A photo of two praying mantids mating earned her a bronze award. 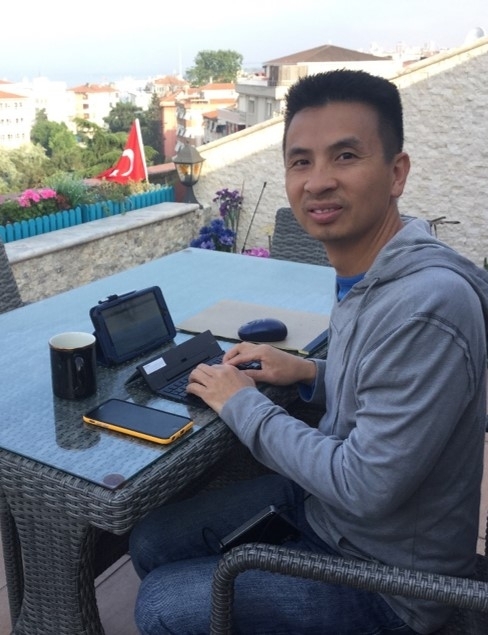 ACE, an international association of communicators, educators and information technologists, offers professional development and networking for individuals who extend knowledge about agriculture, natural resources, and life and human sciences. To see all of the award-winning photos, see the Bug Squad story at http://ucanr.edu/blogs/blogcore/postdetail.cfm?postnum=20760. VP Humiston has announced the winners of the 2015-16 UC ANR Staff Appreciation and Recognition (STAR) awards, which recognize and reward outstanding individual and team performance of Agriculture and Natural Resources staff. STAR awards allow managers to nominate staff who demonstrate exceptional performance, creativity, organizational abilities, work success and teamwork. The nominations were reviewed by a panel, which made recommendations to me. The following are the names of the 2015/2016 ANR STAR Award recipients and comments from those nominating them. Asian Citrus Psyllid Public Education Campaign Team: Jeannette Warnert, Tyler Ash, Myriam Grajales-Hall, Alberto Hauffen, Ray Lucas, Elizabeth Grafton-Cardwell and Mark Hoddle – The campaign successfully helped convey to California citrus tree owners the threat posed by ACP and the steps they can take to mitigate the hazards. UC ANR's Strategic Communications team thoughtfully brought together several key resources and components to execute an outreach plan, resulting in positive, quantifiable results. 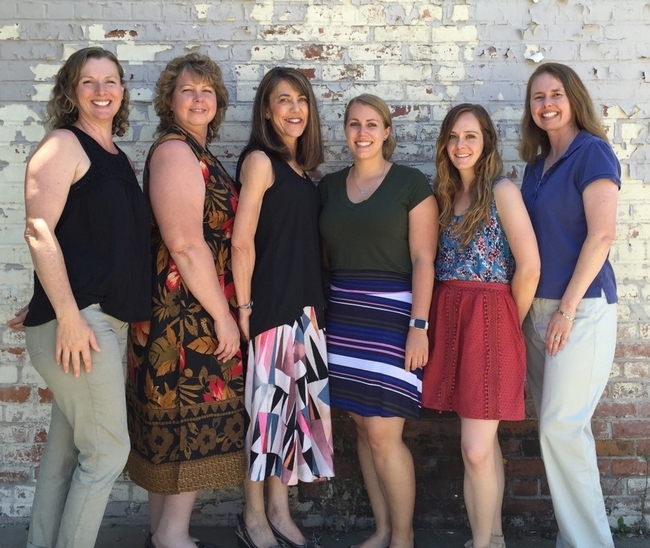 UC CalFresh Nutrition Education Program in Placer/Nevada counties: Rosemary Carter, Olivia Kosten, Carrie Yarwood, Megan Thompson, Michele Fisch and Annette Cosgrove – The team has exceeded expectations by integrating physical activity and reaching new audiences such as afterschool youth programs. More than 2,600 low-income school children receive nutrition education, and more than 10,000 adults learn about nutrition through workshops, newsletters and social media. Metzger, Stacy Arhontes and Sandra Sturzenacker – Team achievements include delivering nutrition education to underserved, Spanish-speaking clientele in Lake Tahoe; collaborating with Boys and Girls Clubs in El Dorado County to provide physical activity resources and training utilizing the CATCH program; and establishing a Nutrition Education Partnership with FoodCorps. The STAR winners received their awards at the Special Staff Meeting and Recognition Event June 16 at the UC ANR building in Davis.